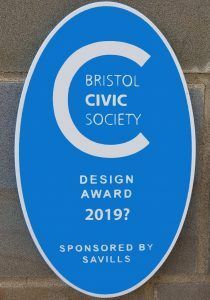 The annual Design Awards meeting this year takes place on 11th June from 6.00 pm at St George’s. The venue offers an opportunity to view the new extension at St George’s before the awards presentation. Use this link for the Civic Society view of the work being undertaken at St. George’s. Booking details will be shortly available. Future Travel Choices: electric cars and transport on demand? Perspectives on future travel choices and the implications for Bristol and the West of England.